As some of you may know, I work at a library. Working a library makes it much too easy to acquire copious amounts of books in short amounts of time (too short to actually read them all), but that's okay. I don't mind having that problem. 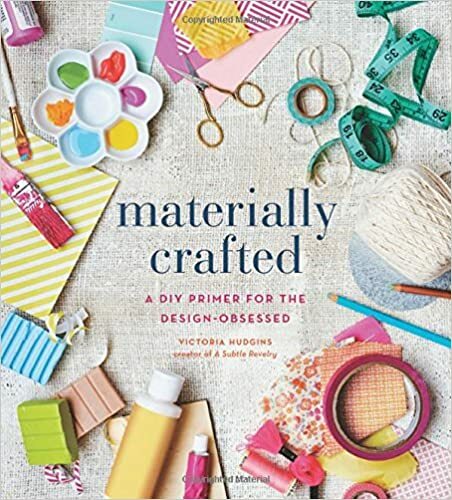 I recently found this awesome book on crafting called Materially Crafted: A DIY Primer for the Design-Obsessed. Really cool, right? Upon perusing this book, I discovered a project that I just had to try and put my own twist on. I give you: easy embroidered canvas wall art. Ready? Here we go. To begin, you'll learn how to make a French knot, because you'll be making lots of them! Tie off a knot and pull your needle through from the back of the canvas. Next, hold your needle close to the canvas and wrap the thread around the tip twice. Insert needle into canvas right next to where you came up, keeping the thread wrapped around the needle with some good tension. Great! Now make a cluster of these knots in your first color, keeping to the center of the canvas. Continue to work outwards from the middle in next color, gradually forming a series of petals with your French knots. And there you have it! A gorgeous little piece of unique wall art! Try embroidering a little wave in shades of blue and green, or a tree, or anything you like. This craft is super versatile and I can see all sorts of cute ways to modify it. Have fun!